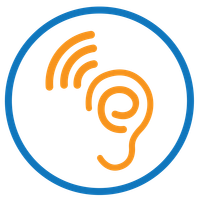 PinnaClear is an independently owned ear care service that has formed after over a decade in the NHS. We are passionate about ears, sound and the latest technology. We offer clinic appointments and home visits. If you require an appointment on the day, please call 03302 23 25 27 to arrange (01/02 landline call charges). ADDITIONAL INFORMATION: Please note that the room in Didsbury has stairs with a handrail and it may not be accessible for those with reduced mobility. The Trafford room is based within Elliotts Pharmacy and has a ramp access.